How high are realtors' and lawyers' fees in Monaco? What about other property purchase costs? How difficult is the property purchase process in Monaco? Monaco 's prime residential real estate market is in Monte Carlo, which is famous for its Place Du Casino. The most prestigious area is the Carre D'Or" (Square of Gold) around the Place Du Casino. Prices drop by between ten and fifteen percent as one heads east or west of this point. Fontveille, an economical and industrial district, has a supplementary discount due to its less noble access, although the fact that the environment is constantly evolving assures a similar evolution in perceived values . Much of the available property in Monaco and Monte Carlo is apartments, from small studios to large luxury triplexes and penthouses. Those overlooking the harbor and Formula 1 circuit are naturally more expensive. There is also a selection of luxury villas and beautiful townhouses and these are even more valuable . 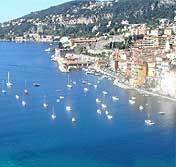 Acquiring property in Monaco is quite straightforward. There are no restrictions on foreigners. You will need the services of a public notary to ensure that the terms of agreement are accurate and conform to the law. Executing the transfer deed before the notary. On signature of the contract, the buyer is generally asked to pay a deposit of 10% of the price, which may be held by the notary or the estate agent. The purchaser of real estate may be asked to sign an offer or a pre-contract. This is common practice particularly in a buoyant real estate market. There is no consumer credit or "cooling off" principle which entitles you to reconsider a hasty purchase and recover your deposit. Registration tax was reduced from 7.5% to 4.5% as of June 2011. For properties that are either new or under construction, 19.60% Value Added Tax (VAT) is imposed in lieu of registration tax. Notary fees plus supplementary expenses such as copies and stamps range from 1.5% to 2.5%. Real estate agent's fee is payable by the seller, 5% (plus 20.6% VAT), and the buyer 3% (plus 19.60% VAT). How landlord-friendly is the law in Monaco?